This SIM card storage box is the ideal solution to hold and protect all your SIM cards, perfect tool for business people, travellers or anyone who uses more than one SIM card. 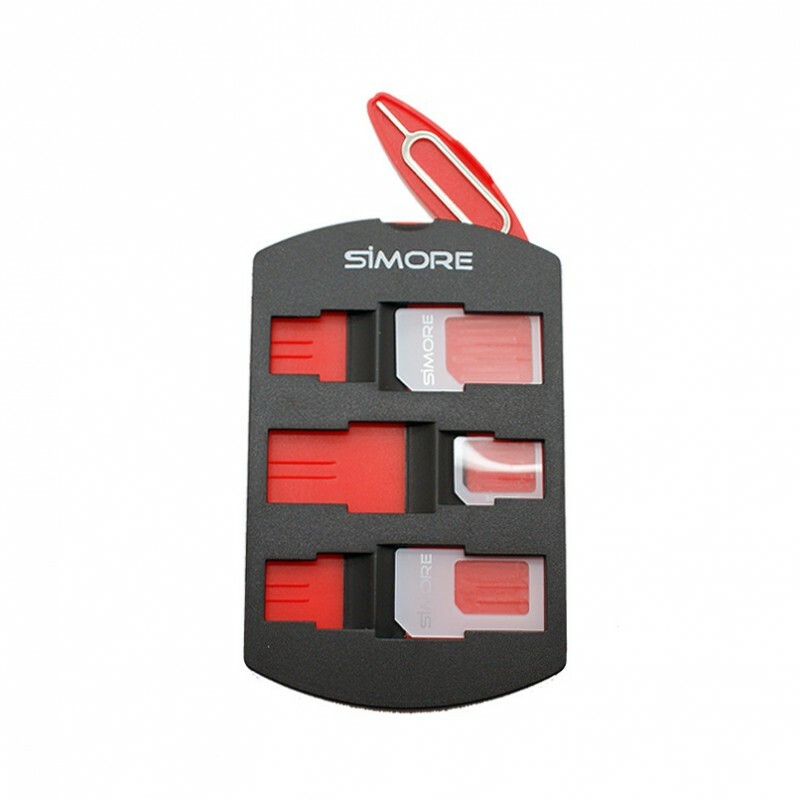 The SIM cards holder SIMore allows you to carry any of your Nano SIM, Micro SIM and Mini SIM (standard format). You can insert and protect up to 6 SIM cards together with sim card ejection tool. This SIM case storage help you to avoid losing, damaging or breaking your spare SIM card. This SIM cards box is supplied with 3 SIM adapters converters (NanoSIM -> Sim standard, MicroSIM -> Sim standard and NanoSIM ->MicroSIM) and one SIM opening tool. The SIM card holder is credit card sized to perfectly fit in a wallet or purse. Easy storage of your SIM cards. Allows to hold, protect, classify and use your SIMs as you need. Thin and lighweight design, credit card sized.